Buttons are a great craft supply for kids. Not only are they easy to come by, but they are incredible for working on fine motor skills. While looking for button crafts for kids, I came across some fun projects that even I wanted to get in on. The DIY thumbtacks and bookmarks are both something I can use at my desk. 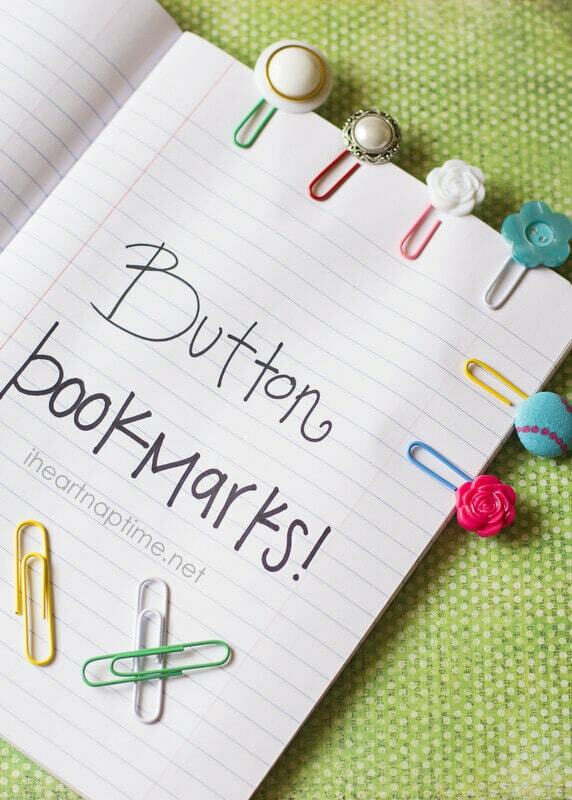 Those paperclip bookmarks would be perfect to use in my day planner. I’m always up for an opportunity when I can join in on the craft fun with my kiddos. All of these kid crafts use supplies you probably already have in your arsenal. Pipe cleaners, felt, glue – nothing is too crazy that you wouldn’t be able to easily get your hands on. Also, buttons come in so many different colors, shapes, and designs, that your children will never tire of using them. There are fun button crafts for every season, holiday, and topic. This list of 18 Creative Button Art Projects are some of my favorite. Have you ever made button crafts with your child? Which project on my list are you most looking forward to doing with your child? 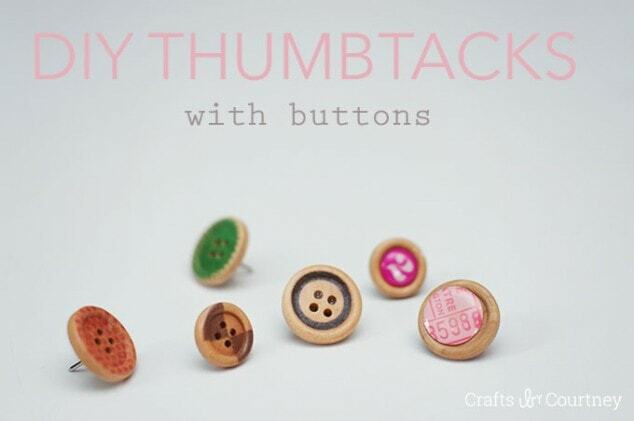 Here are some fun button crafts your kids will love! These are so adorable! What a great way to work on fine motor skills too! Ohh so fun!! I just took a big box of buttons down from the attic, we should get using them. There are so many learning opportunities with buttons, too. Sorting shapes and colors, simple addition and subtraction, all kinds of fun stuff! Thanks for stopping by! The button tree is so cute! These are too cute! I will be sharing your post with my audience, thank you! Buttons can be so fun. Any tips and tricks for keeping them away from newly walking babies that could choke on them? That’s my biggest hesitation right now with everything small, because my 1 year old combs the floor better than my eyes do at times!